A medium sized marquise ring. 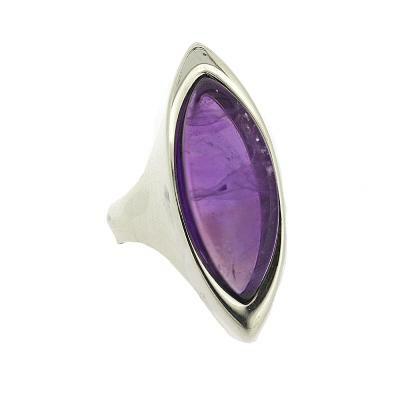 A gorgeous ring ideal to make a statement. The width of the decorative design of the ring is 10mm, height 30mm and the depth is 10mm. The width of the band is 3mm. All measurements are approximate and measured at widest/longest point. This ring crafted in Sterling Silver. Please note that all stones are natural and therefore may vary. If you would like a particular colour please let us know and we will do our very best. Your item will be sent in our standard gift box, if you would like to add a special gift box see our Gift Boxes section.